Ecological reserves are areas selected to preserve representative and special natural ecosystems, plant and animal species, features and phenomena. The key goal of ecological reserves is to contribute to the maintenance of biological diversity and the protection of genetic materials. All consumptive resource uses and the use of motorized vehicles are prohibited. Research and educational activities may be carried out but only under permit. in British Columbia. This is one of only four or five known localities of the strange unfern-like blue-listed plant in British Columbia. The reserve is located beside Highway 4 about 25 kilometres west of Port Alberni and it lies in a narrow valley bottom in a pass between the Taylor and Kennedy river drainages. The fern is found mainly on moist sites along with other herbaceous communities at the margin of the shrub zone along the edge of a pond that was dammed by an ancient rockslide. This pond is subject to pronounced seasonal variations in water level and aerial extent, which is important for maintaining the herbaceous zone and preventing shrubs from advancing. 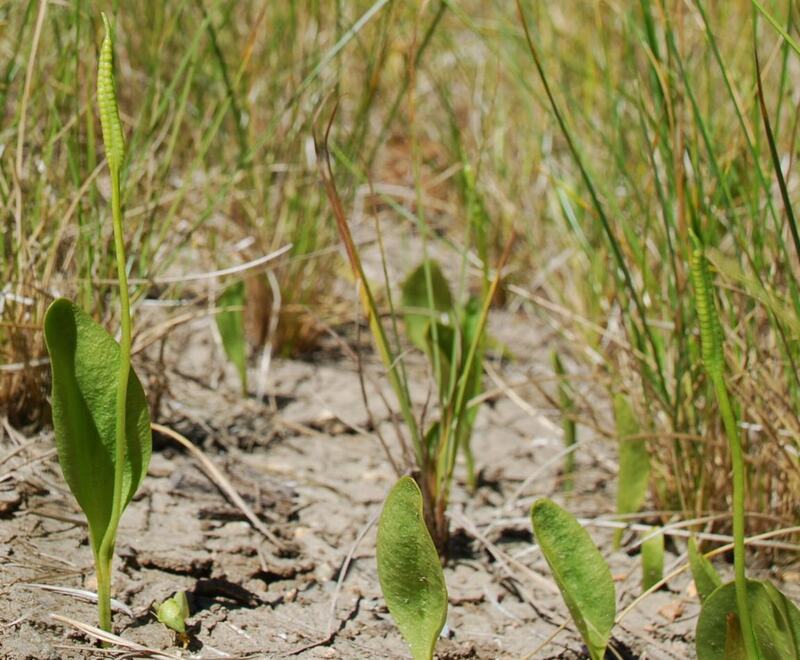 This action allows small herbs adapted to seasonal flooding, like the adder’s tongue fern, to thrive in minimal competition for light with the shrubs. Encourage the Ministry of Transportation to limit the use of chemicals with respect to the management of the highway pass. Develop, in conjunction with the Ministry of Transportation, a spill response to address potential spills on highway. Continue the review of forest development plans (Weyerhaeuser) to ensure that forest harvesting activity does not impact water quality and water levels. Encourage a formal monitoring program by recruiting a Volunteer Warden. Limited ability of the ecological reserve to protect adder’s tongue fern given its small size, location, and adjacent uses. Investigate other sites where this fern may occur to ensure that other options for protection are available.